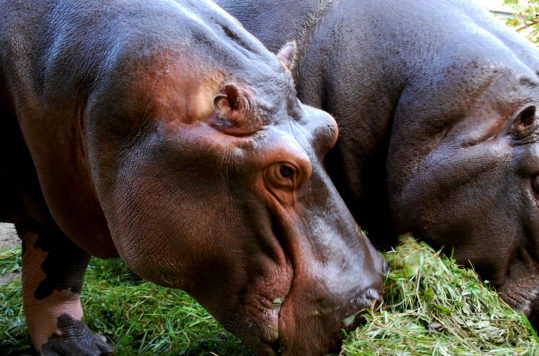 Lonely Planet’s travel guides are user-friendly and well-made. 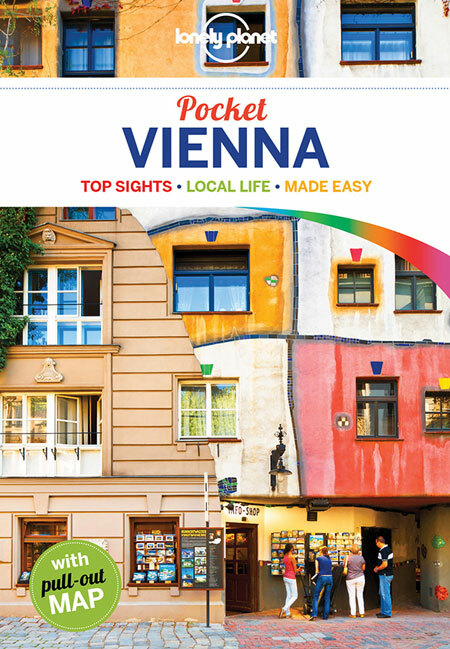 In their Pocket Vienna edition the authors present short but good information, about the most famous places and sights in Austria’s capitol. 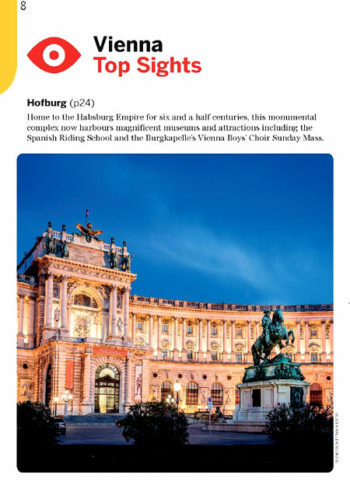 If you are looking for a comprehensive guide that recommends both popular and off the beaten track experiences, the pocket edition of Lonely Planet’s Vienna is good value for money. 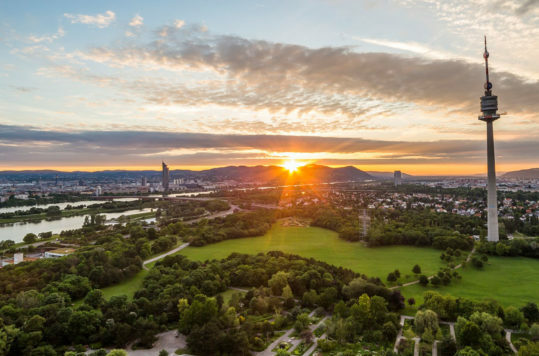 They have done a thorough job, and despite its size extensively covers Vienna’s central neighbourhoods. 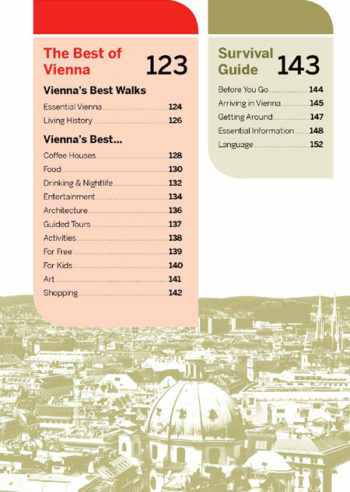 We like that Lonely Planet have divided the information into neighbourhoods, such as for example Karlplatz and Historic Centre. 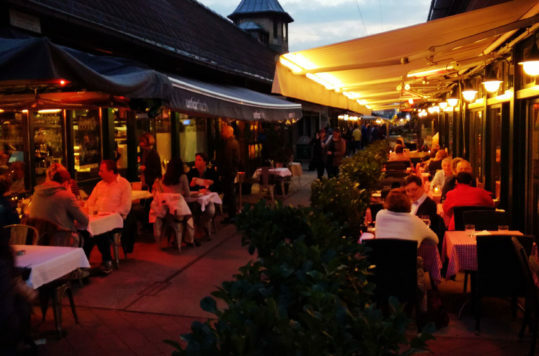 They overlap to some extent, but you can focus on one neighbourhood at the time when exploring the city. 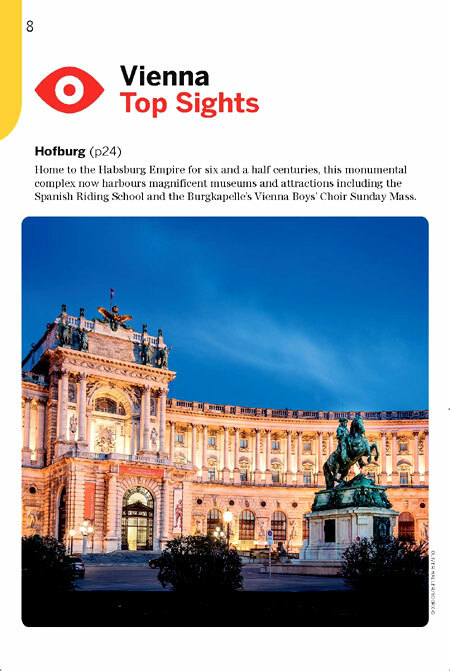 Every chapter contains tips for sights, eating, drinking, entertainment and shopping, and maps showing your where to find them. 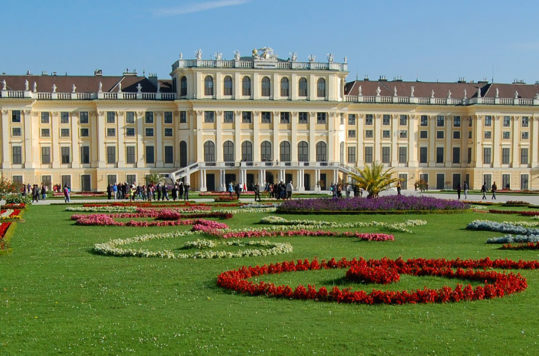 Sure, the choices are often more extensive that you find in the book, but if you are in Vienna for a day or two, the tips are perfectly adequate. 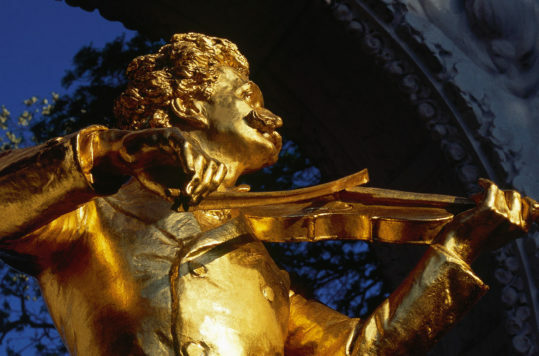 Even though many of the most popular sights are historic and hardly change, the practical advice that you would need to get the most out of your visit is relevant and up-to-date. The pocket guide also includes a pull-out map. Street map on one side, and street index, metro (U-bahn) network map and a street map with the most useful tram lines. 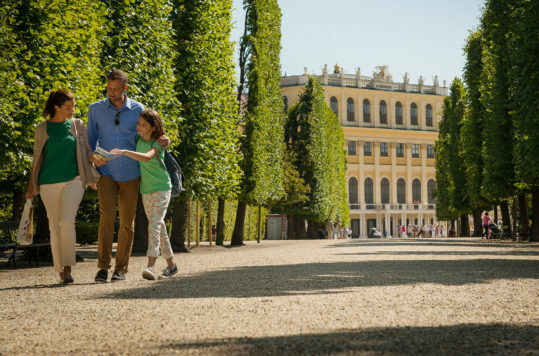 For first and second time visitors the pocket guide will keep you busy a few days. 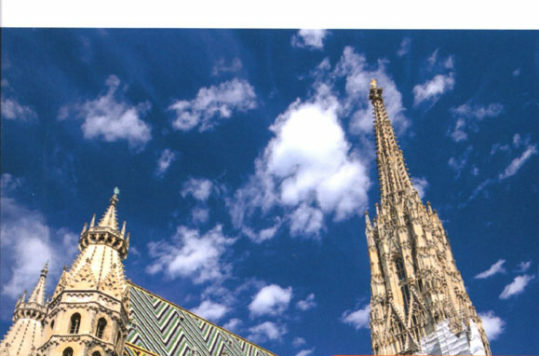 If you already have seen the most famous sights and know your way around Vienna, we suggest you go for the Vienna City Guide with its 264 pager and larger format. 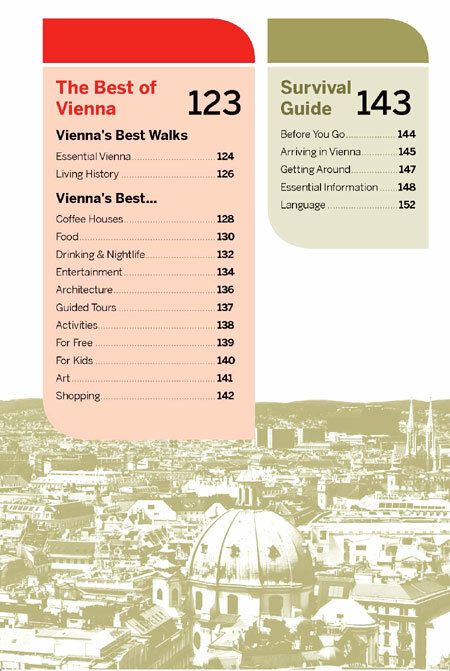 Unlike its big brother the Vienna city guide, from which also single chapters are available as PDF’s, the Pocket Vienna travel guide is only sold in book form. Nonetheless, it’s a handy guide that literally fits in your pocket.